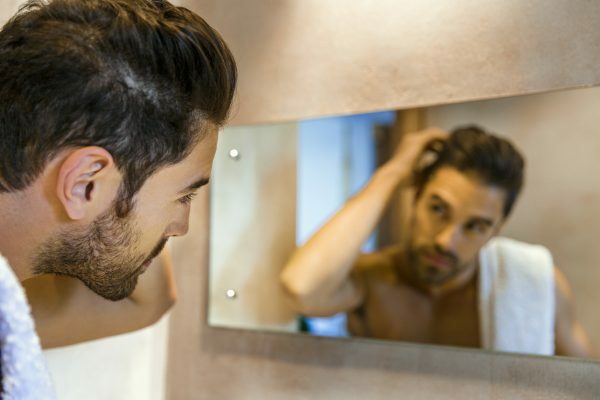 If you’re noticing a lot of hair shedding when brushing or washing your hair, it’s easy to panic and assume something is wrong. However, some hair loss is totally normal and is actually part of a healthy hair growth cycle. So how do you know how much is too much? Keep reading to learn how to identify if you have normal hair loss, or if your hair shedding is considered excessive. What is “Normal Hair Loss”? According to the American Academy of Dermatology, it’s normal to lose 50 to 100 strands each day. While that may seem like a lot, the average person has a hair count of over 100,000 strands. So 100 strands lost each day actually doesn’t make a big difference to the overall hair count and usually is not noticeable. Hair shedding can also vary from day to day. For example, people who live north of the equator tend to shed more hair in the summer and fall than they do in the spring. In fact, a study from Johns Hopkins University found that Google searches for “hair loss” peak in the summer and fall months. 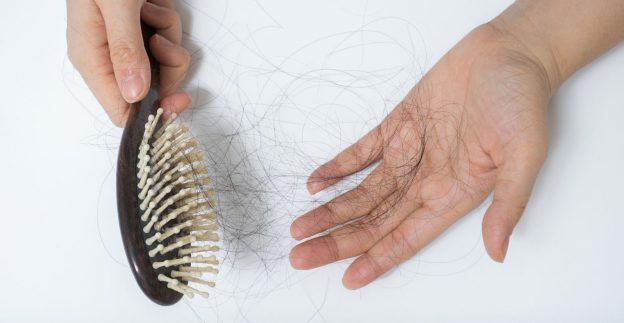 So if you’re noticing more hair loss right now, you’re certainly not alone! A physically or emotionally stressful event can also cause excessive shedding several months after the incident. This condition is called telogen effluvium, and it usually clears up on its own as long as the stressor is resolved. Additionally, overstyling with heat-styling tools, over-processing and coloring can result in excessive shedding, which is one reason why women tend to shed more than men. If you feel like you’re losing a noticeable amount of hair, it may be time to visit your doctor. Your doctor can perform a pull test to determine whether the hair loss you’re seeing is just normal shedding or has another cause. To perform a pull test, your doctor will grasp 60 hair strands and gently pull upwards. If more than three hairs fall out, the pull test is considered positive. A positive pull test suggests abnormal hair loss from a condition like telogen effluvium, androgenic alopecia (male pattern hair loss), alopecia areata, or scarring alopecia. Remember, this test may sound simple, but your doctor can give you the most definitive diagnosis so leave pull tests to the professionals. Alternatively, your doctor may use trichoscopy to diagnose whether you have normal hair loss. 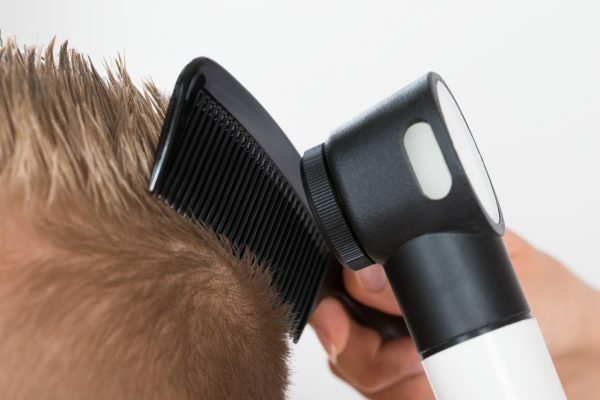 Trichoscopy is a diagnostic tool in which the physician examines the hair structure and scalp at a high magnification using a tool like a dermatoscope. This will help your doctor determine whether your hair loss is telogen effluvium, androgenic alopecia or a more serious condition like alopecia areata. Can You Stop Hair From Falling Out? In short, no, not entirely. Some shedding is a natural part of the hair growth cycle. In fact, often, hairs fall out because a new hair is growing in the follicle, which pushes out the old hair. In other words, a moderate amount of shedding can be a sign of normal, healthy hair growth. Keep hair moisturized. Dry, brittle hair is more prone to breakage, which can mean more shedding. Always use a high-quality conditioner after washing hair, like Viviscal Gorgeous Growth Densifying Conditioner. Use a deep conditioning mask every one to two weeks for extra hydration. Brush and comb gently. If you hear a snapping sound when you brush or comb your hair, you’re brushing too hard! Also be mindful of your choice of tools: use a brush on dry hair, and only a wide-tooth comb on wet hair. Eat more protein. Hair is made up of a protein called keratin, so it makes sense that if you’re not eating enough protein, your hair can suffer. Not eating enough protein often results in weaker hair that’s more prone to breakage, so eat a diet rich in lean proteins to keep hair healthy and strong. Reduce stress. Since stress can contribute to telogen effluvium, it makes sense to learn some stress-busting techniques to reduce shedding. Exercising, journaling, yoga, and spending time outdoors can lower stress levels and help to diminish shedding.